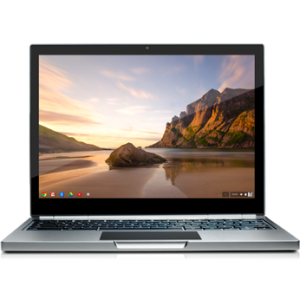 Like all Chromebooks, Pixel boots-up in seconds and stays fast, requires almost zero setup or maintenance, and comes with virus protection built-in. Best of all, it stays up to date with seamless updates every few weeks. Tom needs a new laptop but does not want to spend a lot of money. He looks at what is available and settles on a $500 Windows 8 laptop at the local store. Richard hits up the Apple store at the local mall, he needs a lightweight portable computer. He really likes the MacBook Pro but common sense wins out and he purchases an entry level Air for $999. Harry needs a new machine as well. He uses mostly web based applications so he decides to give the $249 Samsung Chromebook a try. We all know their experiences once they get home with these devices will be a little different. Windows is still a little frustrating to set up, Apple gets your credit card number immediately, and Google, well, you have to log in. Ok, that is a significant difference but not the point of this article. Down the line 6-12 months is when the real difference will show. Over time, Microsoft and Apple’s operating systems get bigger, thicker and heavier. A machine purchased a year ago running last years OS X or Windows 7 will not run as quickly today on Mountain Lion or Win 8. This is simply a fact that has been true for decades. Contrary to that, our Chromebook is faster and can do more that it could when we purchased it 6 months ago. There are certainly limitations. It is still not that polished editing things offline, file management is horrid, and niche apps are almost completely absent from the platform. In some ways it is really lacking. What is exciting is that the list of negatives six months ago was 3X what it is now. This gives me the confidence that these other issues will be resolved also. The release of the Pixel as a high end computing device will require these remaining limitations to be addressed as well. The crowd that will spend $1300 on a cloud based computer will not put up with an incomplete device for long. All this to say that I think my Chromebook will be more productive a year from now than it is today. NO OTHER PLATFORM CAN MAKE THAT CLAIM. This truth alone should make a difference for anyone buying a new computer. If you use a preponderance of online applications and very few monolithic programs I think the Chromebook is a compelling choice. Interestingly one of the biggest reasons holding people back is a lack of understanding of this OS. Google has done a poor job communicating just how different it is. As writers continue to focus on processors, memory, storage size and other legacy PC issues, it misses the real value of the OS altogether. For example everyone is scoffing at the Pixel having 32GB of storage while providing 1TB of Google Drive space. As I have seen with my 16GB device, this is plenty of space. Writers also tend to try to pit Chrome against traditional PCs feature for feature. They are apples and oranges and not comparable in this way at all. I am looking forward to when the mainstream media will begin to recognize this very real difference and the obsolescence protection provided by a very thin, constantly upgraded OS. One thing is for sure,Windows 8 and OS X will need to go on a serious diet to compete in the future.